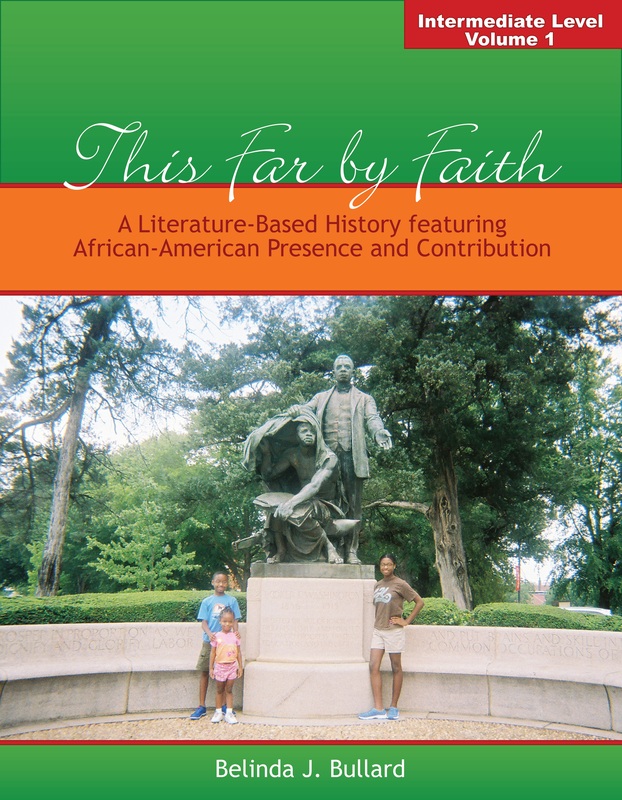 Designed for upper elementary and middle school students*, This Far by Faith is a literature-based history curriculum that stays true to the purpose of all A Blessed Heritage products--to present history as God's story, and to embrace the diversity of racial and ethnic cultures who make this nation great. Like Our History, HIS-Story, This Far by Faith uses historical fiction and non-historical works to make history both educational and entertaining to learn. There are reading selections here for the student to enjoy alone as well as suggested family read-alouds, where a parent's ability to help a student understand a story or event in time can be helpful. Where this product differs from the primary level product, however, is in its use of a spine text to be sure to capture the "whole" story, as it were. The readers are an additional means of focusing on certain parts of history as a supplement to the spine text, and again, to make the study of history far more engaging. The suggested reading plan, in partnership with Joy Hakim's "A History of US" series, provides an exciting walk through the ups and downs of a relatively new location called America. Several of the hands-on opportunities provided for elementary students are replaced here with more writing opportunities in order to partner with a student's growing aptitude for critical thinking. As he/she begins to think in terms of "why," This Far By Faith raises questions that allow any student to think through an issue in terms of its impact on the past, on the present, and potentially on the future. Finally, each segment of this history study ends with "Shining God's Light on our Journey," where the student can connect what a particular era of history means in light of God's will for our lives. * A high school student who is looking for a different reading level would also benefit from this product.